TV Presenter/Comedian and BBC Eurovision commentator Graham Norton, is set to help the BBC find their Eurovision 2014 artist. It all stemmed from UK act “Little Boots” tweeting during Eurovision “How do you enter Eurovision” to which Norton tweeted back “We’ll be in touch”. Well on his most recent chat show he spoke with British Singer and Mercury Prize Nominee – Katy B – about Eurovision and would she ever enter it. To his surprise she admitted that her Father had entered the song contest for Germany as part of their 1976 band “Les Humphries Singers”. Katy was somewhat non-committal in her response on her own potential interest in the Eurovision. Scroll up to 34 minutes on the below YouTube link for chat on the Eurovision. 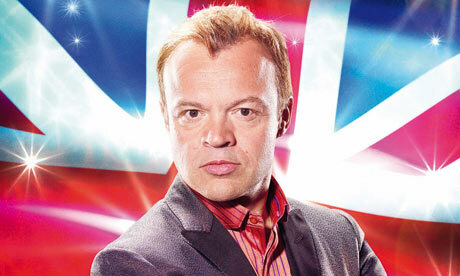 HOWEVER – Graham Norton has said that he is going to ask all British singers that appear on his show from now on would they consider representing the UK at Eurovision in 2014. Is this the beginning of the BBC’s return to interest in the contest? Time will see.